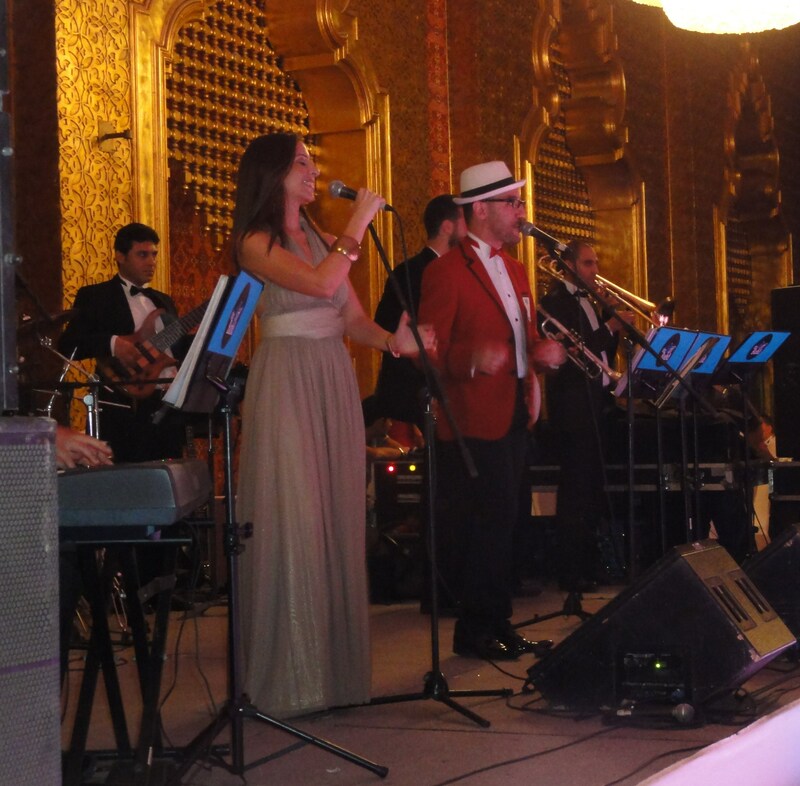 Once upon a time, there was a ball, and while it took place in Cairo, it had all the magic of a fairy tale. OK, maybe not all the magic – there were no pumpkin carriages and I wasn’t dressed by bluebirds – but enough to easily sweep a gal off her feet and suggest, at 3:30 a.m. as you gaze at the giant pyramid from your hotel balcony, that perhaps magic is a little real, or perhaps it really is possible to feel simply and impossibly happy without the flick of a wand. What made it even more special was the fact that it was my first formal event ever aside from my high school prom, which involved displaced adolescent angst and a trip to the local diner with my best friend. And after two weekends of desert camping and sweaty ol’ rugby tournaments, what a ball it was! It was as though all the grime and musty suitcases and dirt beneath the nails were all building up to this brilliant finale that was the rugby Desert Dinner. This night had everything: a misplaced silver flip flop, a fabulous dress, a handsome prince of a lad (who may as well have had a steed and a kingdom somewhere), and an inebriated Frenchman (who did not swallow raw eggs or flaunt his biceps, but did spend a portion of the night hiding beneath a table). 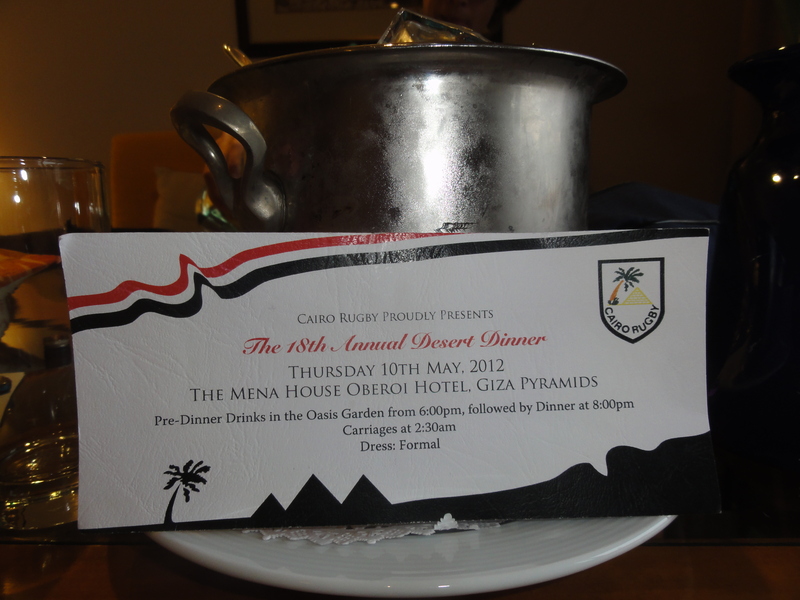 There was Frank Sinatra, dancing, raffles, dancing, and did I mention the pyramid? Despite getting caught in almost two hours worth of traffic, Anna, Annie, and I arrived at the Mina House Oberoi Hotel in three disheveled – but together – pieces. We were so late that, upon arriving, we were greeted by a dozen or so ball denizens already decked out in evening attire, waiting for the golf carts to transport them over to the cocktail hour. 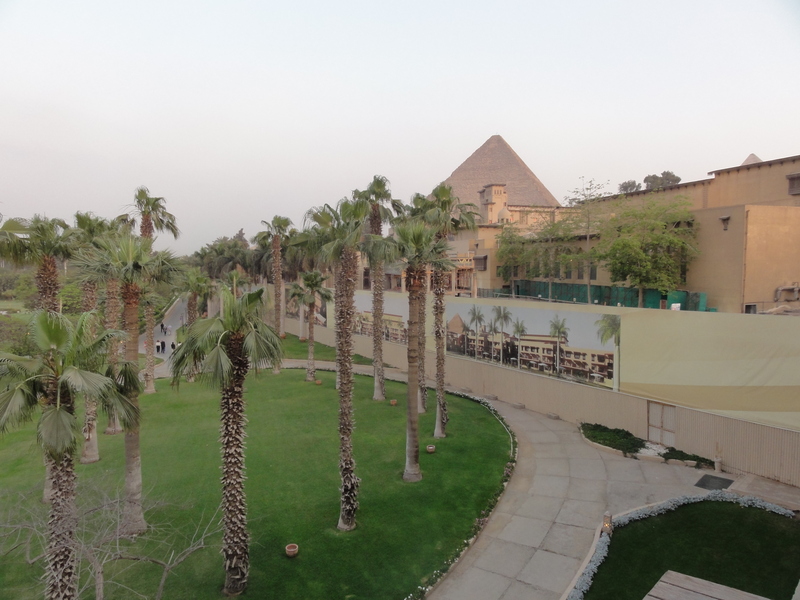 So late that we declined the complimentary welcome drink and asked to be sent immediately to our glorious room, with its massive king size bed and unbeatable balcony view of the pyramids. Breathtaking might be a fairly accurate word. 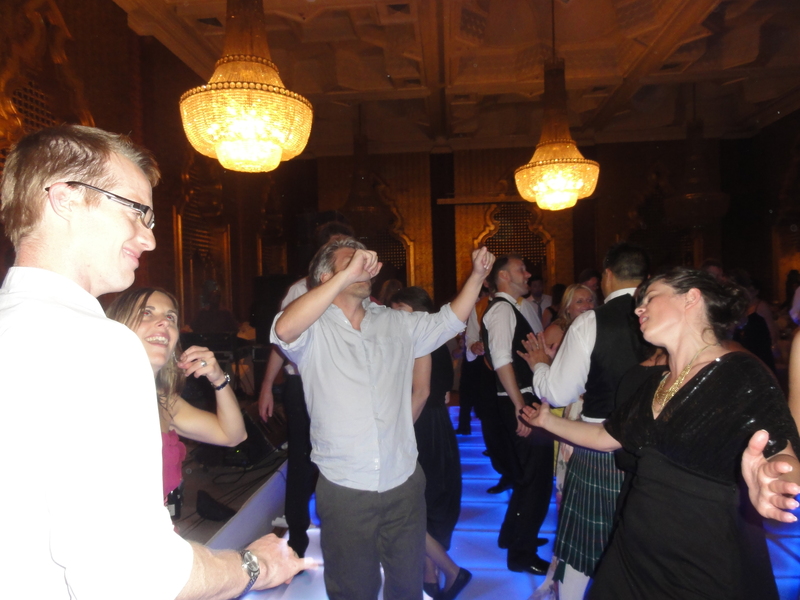 We showered with the speed and efficiency of an Olympic relay team; when one of us was showering, the rest of us were cranking music on our iPods and mixing martinis in gently perspiring glasses provided by the hotel. Within the hour, our room transformed into a buzzing hair and makeup salon, the steam and stench of burning hair and curling irons mingling with that ever-crisp-clean hotel scent. 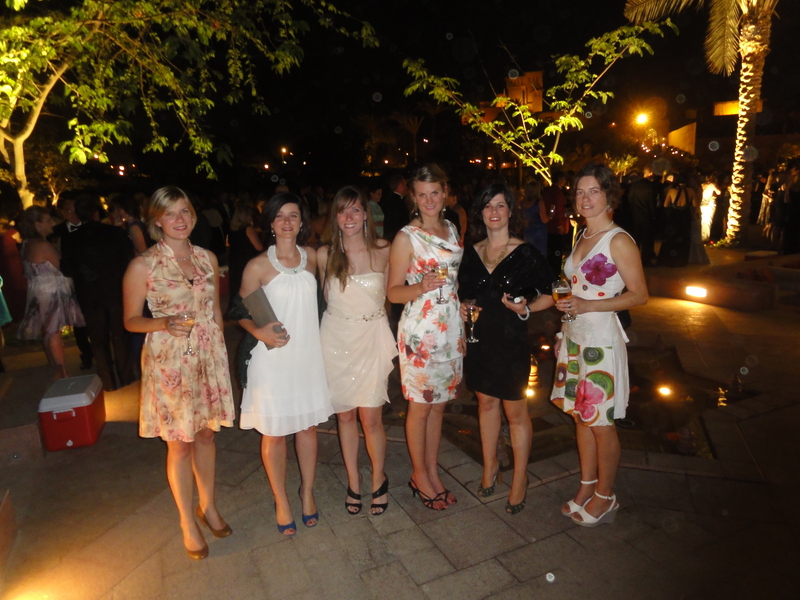 Don’t be fooled – we rugby girls (and guys, to be fair) clean up very nicely. I was beyond excited to slip into the pink dress Sarah and I had found at City Stars only two days earlier, and once we’d all done our hair and gathered our tickets and bags, we headed down to catch the tail end of the cocktail hour. The twenty minutes we spent there were worth it; the inky, flat surface of the pool reflected the little lights glimmering around it, bartenders poured out glasses of wine and uncapped bottles of beer, a fountain gurgled nearby – and all this in the dusky shadow of the only remaining wonder of the ancient world. Take that, Disney. We danced until well after 3 a.m. when the lights came on. In the hotel room, we sat outside on the balcony and stared at the pyramid, formidable even at night, while mosquitoes feasted on our arms. And in the morning, there was a stellar breakfast and equally stellar conversation and company – and a long day ahead of doing nothing at all but reclining by the massive pool, lost in the ebullient euphoria that lingered pleasantly from the night before. You look great Nicole. An experience of a lifetime and then some. Thank you!! It certainly was an experience unlike any other!